How much capital required to trade MCX Intraday calls?  You must need atleast 50000(50k) capital to do Mini lot and 150000(1.5Lakh) capital to trade Mega lot all it depends upon brokers exposure he provide to you. How much profit can expect daily? You can expect daily 4000++++ upto 8000 daily including all 3 trades, in month end you can expect 20% to 30% returns on capital. But any how we predict markets on our experience, Profit and Loss are common in Stock market and MCX market. I am very new to MCX, whal shall I do? It is very simple as like NSE, BSE market, only thing you need capital and the experience to place order and monitor till call closes on that day. How much calls will be given daily? What is the lot size and how profit calculated? Lot size differs for each commodity we provide..
To trade in Mini lots daily you need 50k capital and to trade in Mega lot daily you need 1.5 lakh capital. At what time calls will be given? How I will receive the calls daily? You will receive the calls via Telegram channel, its very simple and easy, need to download Telegram app in Mobile or any device used for trading, and will joined in group and calls will reach you instantly if you are in online in any device you use. I don’t know about Telegram app? What to do? Its new to me? Its nothing like Whatsapp, Whatsapp belongs to Facebook and Telegram belongs to Twitter company, You can download telegram from below link for any device you use. At a same time you can also receive information via Mobile and another device you use. How many calls will be in open position? Two calls will be in open position daily, all calls will be closed at 11pm if not reached Target or Stoploss on that day, no carry forwarding for next day. MCX Commodity Trading Tips Procedure gives clear procedure for new traders who have interest to trade on commodities exchange. Commodities are basic raw materials used for our consumption that individuals or institutions buy and sell. There are four main commodity classifications: Agriculture commodities (often referred to as soft commodities), energy commodities, metal commodities (referred to as hard commodities), and environmental commodities like such as carbon emissions, renewable energy certificates, etc. The most commonly traded commodities are crude oil,copper, zinc, gold, silver. Commodity markets can include physical delivery, referred to as a spot contract. Most trades, however, are carried out through derivative trading using futures, forwards, CFD’s, and options.Futures contracts are carried out through regulated commodity exchanges. Futures contracts have been the most popular method of trading commodities. The introduction of CFD’s in the late 1990s popularized commodity trading as the usage of leverage was permitted. You can select the best option which one is right on you. Are the two major exchanges in India. Multi Commodity Exchanges (MCX) –Global or International products like Silver, Gold, Crude oil are trading in this exchange with more volume& liquidity. National commodities derivatives exchange (NCDEX) – Including all metals like Silver, Gold and Agri products are trading in this exchange. Like Securities and Exchange Board of India (SEBI) in equity market, Forward market Commission (FMC) regulates the commodity market.